Real, meaty, persuasive copywriting blends what your clients need to hear with what makes you different, better & worth working with. But, as busy entrepreneurs, we often don’t take time to think about what makes us so good at what we do that our dream clients want to choose us over anyone else. We hit a milestone or achieve an impressive feat, then swiftly move on to the next thing. The next month, we forget they’ve even happened. Naturally, when my clients see all their talents, secret skills & amazing accomplishments on one sales page, they freak out. They’ve never seen all their fancy-pants accomplishments listed in one place before. They aren’t aware of their own unique brand of awesomeness because they’d watered it down in their own heads by forgetting all they’ve achieved. Suddenly, a myriad of unhealthy mindset blocks pop up in their heads to tell them that they can’t possibly publish all their uniqueness on their website. Worse, those mindset blocks are disguised as logic. They sound so sensible & reasonable. Here’s 3 mindset blocks that might be keeping you from uncovering the words to make your business more meaningful, memorable & profitable, so that you can get the attention & clients you deserve. How do you know it’s a block? Just because anyone can do it, doesn’t mean they do. You’re the one that’s doing something unique that your dream clients are looking for. Other people could do it, but are they actually doing it? No. You are; they’re not. That means it’s something special & unique about you & your work. 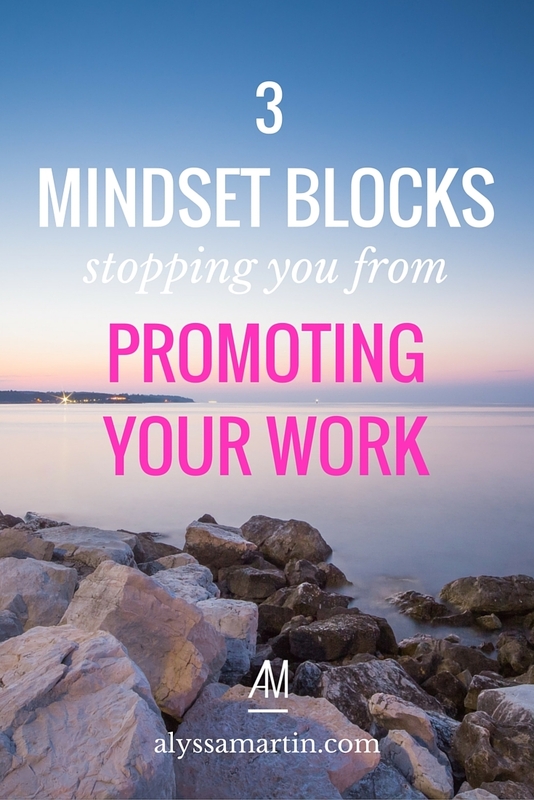 You probably have this mindset block because your work comes so naturally to you that it’s like breathing. For me, that’s getting results. I freaking loooove seeing results from my work. I love getting emails from my clients telling me they landed 4 new clients & 15x more subscribers since we worked together. That shiz makes my heart sing. It’s so important to me that I assumed it was important to everyone who writes web copy. Wrong. There are lots of copywriters out there who just write pretty words to describe your work & don’t put in the hard yards to make sure they’re the right words that will get you the dolla dolla bills. When you dig to the bottom of these assumptions that “anyone can (and does) do it,” that’s how you find what separates you from all the other service providers out there. So what do you assume anyone can do from your work? That’s where you discover your secret sauce that no one else has the recipe to. How do you know it’s a block? Because it’s a generalisation. (b) seems so obvious to you. The things that come blissfully easy to you are a sign that you’ve found your special sauce, instead of being a sign that it’s so run-of-the-mill that it’s not even worth mentioning. These “easy” things are usually a sign that you’ve found your zone of genius. Other people struggle with them, but you don’t – and that’s exactly why they come to you. Even if you’re right and every single designer / coach / healer is doing that thing, that’s probably a good sign that your dream clients are looking for or expecting that from you. It could be a sign that there’s demand for that part of your service. Don’t shy away from talking about it if it’s what your dream clients are wanting from you (unless doing the task makes you want to stab yourself in the eye with a fork). How do you know it’s a block? Because you’re worried about sounding arrogant & not about being arrogant. See the difference…? This mindset block is your ego trying to protect you from being judged negatively. You intuitively know that being arrogant isn’t your problem (because it’s not in your repertoire – you’re too cool for that). Instead, you know that it’s risky to sound arrogant. Sounding arrogant might bring haters. Maybe. It’s a possibility. But it also might bring people who are so inspired by all your achievements that they begin knocking down your door to work with you. They’ll be so enamoured with you that they don’t even take a split second to consider whether you sound full of yourself. They’ll just be impressed. I can almost GUARANTEE that if you’ve ever thought this one, you’re not an arrogant person. Instead, you’re the kind of person that gets annoyed by egotistical, conceited people & you don’t want to be like them. Honestly, in 100% of the cases where my clients have asked me if such-and-such makes them sound arrogant, my answer has always been no. Your natural tendency to want to be real & honest will remove any chance of you sounding cocky. You’re fine. We don’t think you’re arrogant, I promise. If you’re struggling to loudly & proudly talk about your work, be sure to join me for the “From “ho-hum” to “um, Whoa!” — 4 day Memorable Messaging Training.“ It’ll help you get clear on how to find the right words that will make your business more meaningful, memorable & profitable.